The Sport Boat Class held their seventh race weekend recently. Maltese Musketeers, skippered by Adrian Gauci Borda, Nicholai Portelli and Jan Rossi emerged winners with just seconds separating from Marcus Ciantar’s Seriously Bonkers. With strong wind conditions, gusting at 27 knots, on Saturday thwarting all efforts to race, the more experienced crews to the opportunity to train in more challenging conditions. On Sunday, shifty conditions coming from the land saw wind gusting between force 3 and four, with a bit of a lighter swell. These conditions enabled the crews to fit in five races. Throughout the day, there was tough competition between Maltese Musketeers and Seriously Bonkers, who were hot on their heels. Both SB20s where constantly changing positions between the marks and only seconds separated the boats at the end of each race. Adrian Gauci Borda, skipper of Maltese Musketeer has been involved in the Sport Boats Class in Malta since its inception a year ago. He explained that the Class has grown and whilst in the initial stages, it could not yet be called a one design class as the Class was made up of different boats on handicap, one year later there are seven SB20s in Malta and local crews are looking forward to welcoming a number of international crews wintering in Malta to take part in future races. 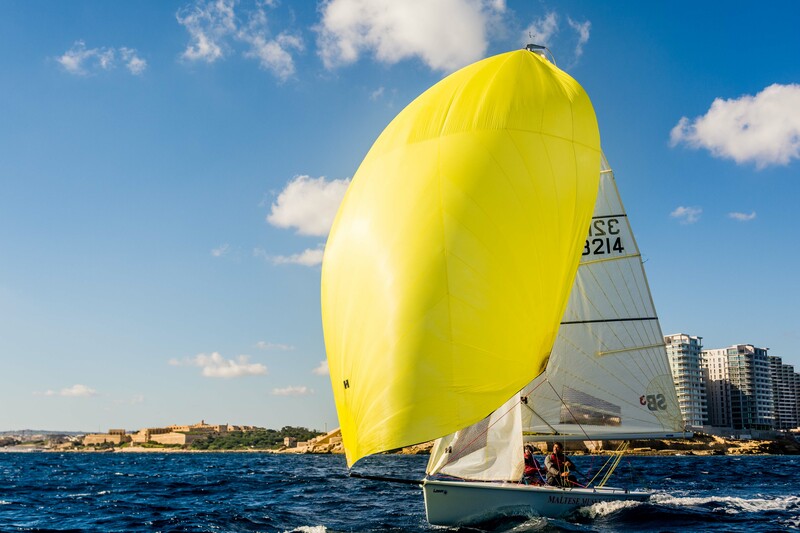 The Sport Boats Class is eagerly waiting the forthcoming BOV Gozo Weekend Regatta, organised by the Royal Malta Yacht Club and taking place between the 23rd and 25th November. It is anticipated that four SB20s will be taking part. More information about the Sport Boats Class can be found on www.rmyc.org or on the Class’ Facebook Page – Sport Boats Class Malta.